Jean Dubois was born in 1674. He died. Marie Dubois was baptized on 8 April 1676. She married Eustache Demers on 3 November 1694 at Québec, Canada. Marie Dubois died on 14 June 1745 at Hôtel Dieu-de-Québec, Canada, at age 69. Eustache Demers married Marie Dubois, daughter of François DuBois dit LaFrance and Anne Guillaume, on 3 November 1694 at Québec, Canada. Jean-Baptiste Dubois was born on 10 January 1680 at Pointe-de-Lévis, Lauzon, Lévis, QC, Canada. He married Marie-Louise Buisson (or Bisson) on 8 August 1707 at St. Antoine de Tilly, Lotbinière, QC, Canada. Jean-Baptiste Dubois died on 21 January 1728 at St. Antoine de Tilly, Lotbinière, QC, Canada, at age 48. Marie-Louise Buisson (or Bisson) was born circa 1687. She married Jean-Baptiste Dubois, son of François DuBois dit LaFrance and Anne Guillaume, on 8 August 1707 at St. Antoine de Tilly, Lotbinière, QC, Canada. Marie-Louise Buisson (or Bisson) died on 14 June 1732 at St. Antoine de Tilly, Lotbinière, QC, Canada. Françoise Dubois married Jean Houde on 12 February 1678 at St. Nicolas, Lévis, QC, Canada. Françoise Dubois was born on 20 December 1678 at Québec, Canada. Jean Houde married Françoise Dubois, daughter of François DuBois dit LaFrance and Anne Guillaume, on 12 February 1678 at St. Nicolas, Lévis, QC, Canada. François Dubois Jr. was born on 2 December 1685 at Pointe-de-Lévis, Lauzon, Lévis, QC, Canada. He was baptized at Pointe-de-Lévis, Lauzon, Lévis, QC, Canada. He married Marie Anne Lambert on 20 April 1711 at St. Nicolas, Lévis, QC, Canada. François Dubois Jr. died on 26 December 1744 at Ste. Croix, Lotbinière, QC, Canada, at age 59. Nicolas Dubois was born on 8 December 1687 at Pointe-de-Lévis, Lauzon, Lévis, QC, Canada. He married Marie-Thérèse Chatel on 2 May 1718 at St. Nicolas, Lévis, QC, Canada. Nicolas Dubois died on 29 September 1761 at St. Nicolas, Lévis, QC, Canada, at age 73. Marie-Thérèse Chatel married Nicolas Dubois, son of François DuBois dit LaFrance and Anne Guillaume, on 2 May 1718 at St. Nicolas, Lévis, QC, Canada. Suzanne Dubois was born on 3 March 1693 at QC, Canada. She was baptized on 20 March 1693 at Québec, Canada. Harrison Hazelton "Red" Neumann was born on 21 February 1914 at Lansing, Ingham, MI. He married Betty Geraldine Cushman, daughter of Raymond Everett Cushman and Bertha MacLeod. Harrison Hazelton "Red" Neumann died on 17 March 1987 at Sun City, Maricopa, AR, at age 73. Betty Geraldine Cushman was born on 6 November 1916 at Bath, Clinton, MI. She married Harrison Hazelton "Red" Neumann, son of Jacob Neumann and Marzetta Hazelton. Betty Geraldine Cushman died on 12 June 2005 at Rochester, Olmsted, MN, at age 88. Roger Smith Cilley was born on 15 March 1934 at Exeter, Rockingham, NH. He married Jacqueline Elaine LaBranche, daughter of John LaBranche and (Mary A.) Rachel Marie Dubois, on 2 March 1957 at Newmarket, Rockingham, NH. Roger Smith Cilley died on 20 July 2004 at Barrington, Strafford, NH, at age 70. He was buried on 24 July 2004 at Calvary Cemetery, Newmarket, Rockingham, NH. Anne Frances Kelleher was born circa 1898 at Spencer, Worcester, MA. She married Raymond MacDonald. Anne Frances Kelleher married Leo Freeman O'Malley, son of Michael O'Malley and Julia Gertrude Keating, on 20 November 1965 at Westboro, Worcester, MA. 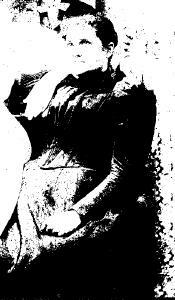 Anne Frances Kelleher died on 24 October 1987 at Westboro, Worcester, MA. She was buried at Worcester, Worcester, MA. Howard G. Hinz died on 15 November 2004 at Milwaukee, Milwaukee, WI. Patrick Keating was born on 12 November 1844 at Middletown, Armagh, N. Ireland. He immigrated in 1852. He married Ellen "Nellie" O'Brien, daughter of Thomas O'Brien and Mary Murphy, circa 1870. Patrick Keating was CENSUS 1900. 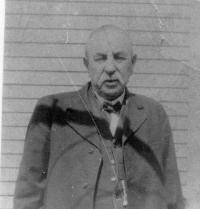 He died on 3 January 1926 at Rochester, Strafford, NH, at age 81. He was buried at St. Mary's Cemetery, Rochester, Strafford, NH. Ellen "Nellie" O'Brien was born on 2 September 1848 at Ireland. She immigrated in 1857. She married Patrick Keating, son of Patrick Keating and Margaret McIntire, circa 1870. Ellen "Nellie" O'Brien died on 21 September 1913 at Rochester, Strafford, NH, at age 65. She was buried on 23 September 1913 at St. Mary's Cemetery, Rochester, Strafford, NH. Margaret "Maggie" Keating was born in 1868 at NH. She married Mr. Swift. Margaret "Maggie" Keating was buried at Winthrop, Suffolk, MA. Hanora Augusta "Nora" Keating was born on 7 January 1872 at Rochester, Strafford, NH. She married Edmund James Hartigan, son of John Hartigan and Bridget ( ) Hartigan, on 11 January 1905 at St. Mary's Church, Rochester, Strafford, NH. Hanora Augusta "Nora" Keating died on 31 March 1935 at Rochester, Strafford, NH, at age 63. She was buried at St. Mary's Cemetery, Rochester, Strafford, NH. Mary E. "Mayme" Keating was born in 1870 at Rochester, Strafford, NH. She married William P. Sterner, son of Frank P. Sterner and Sarah E. "Hattie" Edelman, circa 1903. Mary E. "Mayme" Keating died on 4 October 1950 at Winthrop, Suffolk, MA. Frederick Hinners was born on 28 September 1909 at Bronx, NY. He married Virginia Ambler, daughter of Charles Grant Ambler and Mary Rebecca Kemp. Frederick Hinners died on 25 May 1999 at New London, New London, CT, at age 89. Virginia Ambler was born on 11 July 1912 at Troy, Rensselaer, NY. She married Frederick Hinners, son of Frederick W. Hinners and Paula Peters. Virginia Ambler died on 15 January 1994 at New London, New London, CT, at age 81. Harry Yarter was born on 29 October 1914 at Hudson Falls, Washington, NY. He married Mary Elizabeth Harrington, daughter of Latham Harrington and Lura Varnum, on 4 August 1934. Harry Yarter died on 25 November 1990 at Kingston, Ulster, NY, at age 76. Mary Elizabeth Harrington was born on 2 November 1914 at Warrensburg, Warren, NY. She married Harry Yarter, son of Clifford Mitchel Yarter and Effie Lillian Lawrence, on 4 August 1934. Mary Elizabeth Harrington died on 20 January 1989 at Kingston, Ulster, NY, at age 74. Raymond MacDonald married Anne Frances Kelleher. Antoinette Baril was born. She married (Josèph) René Dubois, son of J(osèph) Napoléan Dubois and M. Florida Adèle Binette, on 12 July 1935 at Newmarket, Rockingham, NH. Antoinette Baril died in 1970. She was buried in October 1970 at Sacred Heart Cemetery, So. Lawrence, Essex, MA. William P. Sterner was born circa 1870 at Allentown, Lehigh, PA. He married Mary E. "Mayme" Keating, daughter of Patrick Keating and Ellen "Nellie" O'Brien, circa 1903. William P. Sterner died in 1943 at Winthrop, Suffolk, MA. Louise M. Sterner was born on 7 May 1907 at MA. She died on 18 July 1998 at Leicester, Worcester, MA, at age 91. She was buried at Winthrop, Suffolk, MA. Frances M. Sterner was born on 9 June 1905 at Rochester, Strafford, NH. She married Dennis F. O'Connor, son of Michael J. O'Connor and Margaret Byrne, on 9 September 1930. Frances M. Sterner died on 9 February 1991 at Worcester, Worcester, MA, at age 85. She was buried at Winthrop, Suffolk, MA.